Democratizing philanthropy and enabling everyone to give. OneRelief introduces charitable crowdfunding to humanitarian relief aid through micro-donations (US$1-5). 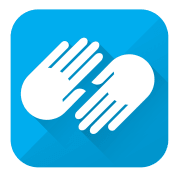 OneRelief launches crowdfunding fundraisers within hours after a disaster has struck and invites smartphone users through social media to make a small donation via the OneRelief app directly from their smartphone. Collected donations are forwarded to certified humanitarian NGOs in the affected areas that are providing life-saving assistance to the people in need. Would you recommend ONERELIEF INC?